Moonlodge gatherings are free and open to all women. We sing, dance, pass the talking stick and honor women's wisdom. No need to register; arrive between 6:45 and 7:15pm. We'll fax directions and local accommodations list: call a week ahead. No last minute calls or emergency E-mail please. In ancient times, the women's Bleeding Lodge was a structure set apart from the rest of the community where women would go to dream and communicate with the Ancestors when they were bleeding. Since life follows the cycles of the Earth and the Moon, activities of our Ancient Ancestors also closely followed the cycles of the Earth and Moon. The women all cycled together, ovulating at the full Moon and bleeding at the new Moon. When women started to bleed, they left their homes and families to go to the sacred introspective space of the Bleeding Lodge. The Lodge was honored and respected by the entire community, for the dreams and visions of the bleeding women brought vital survival information such as planting and healing knowledge and guidance on community relations. When there were questions that needed to be answered, the women would go to the Lodge and ask the Ancestors. All questions were always answered by the Ancient Ancestors. The entire community benefited through the powerful gifts of the women's bleeding cycle. Since our Ancient Grandmothers probably all bled together, many women shared the Womb Lodge at one time. Ceremonies to honor our womb cycles, celebrate the cycles of the Earth and Moon, and rites of passage were developed by these women from visions and dreams during their bleeding times in the Sacred Lodge. These traditions were passed down in the initiatory rites of the Blood Lodge from mother to daughter. As our current culture has separated us so far from honoring the cycles of the Earth and Moon, these ancient women's rites have become almost forgotten. But, as we granddaughters of these ancient women dream during our bleeding cycles, fragments of their powerful honoring and healing ceremonies fill our spirits. We know that there is a wisdom within our wombs that is our birthright. The spirits of the Ancient Ones have returned to teach us ways of honoring and healing the Earth. It is no coincidence that these Grandmothers are feeding our dreams at this time when the Earth is in dire need of the healing ceremonies of the Blood Lodges. We must return to the old ceremonies of honoring if we want to heal ourselves and our planet. The answers to our survival questions will come through the Blood Lodges. During our bleeding times, our Grandmothers can help us remember ancient ceremonies, wisdom and rites of passage. We must remember to ask, and they will teach us. The Ancient Ancestors know all the answers and they will help us remember everything we need to know, just as they helped our Ancestors. Our Blood Lodges today are not usually a particular physical place but more an attitude of community that occurs whenever women come together in any Sacred Space to honor and celebrate our bleeding cycle. So, we make our womb-space wherever we meet . . a spare room in someone's house, in the basement of a local church or YWCA, or any private outdoor place where women can be safe and uninterrupted. The Bleeding Lodge is when women come together to celebrate the ancient ceremonies of honoring our bleeding cycles, communicating with the ancestors, sharing our gifts and passing the women's wisdom on to our daughters. The Lodge reminds us that we live within the cycles of the Earth and Moon. 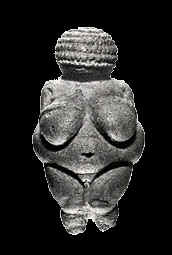 When we honor our wombs, we honor the Great Mother. Remembering and recreating these ancient ceremonies will bring right relation to all children of Earth. Perhaps, eventually, Bleeding Lodges will once again become respected women's places in our communities. 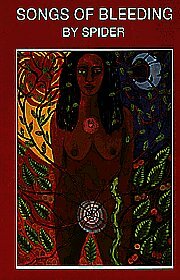 Spider weaves the tales of Women’s Mysteries in remembrance of Moon Lodge celebrations based on Taino teachings. She shares the dreams of the Grandmothers with all people ready to honor the Earth and her cycles. "It was a pleasure to read Spider's book! As sound and Rhythm hold the Uniworld together, so do the Songs of Bleeding hold within them a heritage of Women’s Mysteries. One of the most important contributions that Songs of Bleeding teaches us is the aspect of Honor... Honoring our Grandmother’s wisdom, our Moon Time and our history as Women. Nyah Weh Scanno!" Spider is a teacher of the Wolf Clan Teaching Lodge and shares the Medicine Wheel teachings of Grandmother Twylah Nitsch. She follows the Taino tradition of healing ceremonies and is a carrier of Women's Lodge Wisdom. She lives in Colorado and is available for workshops and individual intensive study. In the beginning, according to the Wise Woman tradition, everything began, as everything does, at birth. The Great Mother of All gave birth and the earth appeared out of the void. Then the Great Mother of All gave birth again, and again, and again, and people, and animals, and plants appeared on the earth. They were all very hungry. "What shall we eat?" they asked the Great Mother. "Now you eat me," she said, smiling. Soon there were a very great many lives, but the Great Mother of All was enjoying creating and giving birth so much that she didn't want to stop. "Ah," she said smiling, "now I eat you." And so she still does. We all come from the same mother. She is the wise woman. We all return to her embrace, her bloody-rich womb place, when we die. Every woman is a whole/holy form of her, able to be whole/holy mother of all life, able to be whole/holy destroyer of life. Her power is her blood that flows and flows, her blood which is life and gives life. Every woman's menstrual blood and birth-time blood is a holy mystery. What are the blood mysteries? Why are they central to the understanding of the Wise Woman tradition. Blood mysteries teach that menstrual blood and birthing blood are holy blood, power blood, healing blood. The blood mysteries teach us to remember that life and healing come from and return to woman, to the wise woman, to the woman who bleeds and bleeds. And does not die. Blood mysteries reveal that menstrual (moontime) blood and birth blood are so holy, so full of potential, so full of the void, that they are to be used only to heal, to heal by nourishing. Holy woman-blood is nourishing blood, blood of love, blood of abundance, blood that heals the earth. Blood mysteries recall the immense power of the bleeding woman. Power enough to share in great nourishing give-away from mother to matrix, give-away of nourisher to nourisher. When we bleed into the ground (in reality or fantasy) our power re-grounds as our blood flows through the personal root chakra and into the earth. Bleeding into the ground, bleeding freely, we know ourselves as women, as nourishers of life, as givers of nourishment to the plants, givers of holy nourishment: our moontime blood. The information received as the menses begins in the clearest human picture from within the womb of the Great Mystery, of the unknown and our future. Among our dreaming peoples, the most prophetic dreams and visions were brought to the people through the Moon Lodge. In other words, the most useful information that can come to us comes from each of you women who use your moon time well. Conversely, for each of us who do not honor this time, much is lost, including the respect of others for our bleeding. My call to you is to begin now to honor your moon time, to come together in small hoops (perhaps of 8 women) and create Moon Lodges-communal women's retreats and meditation rooms-for the beauty, for the quiet, for the transparent veil. Dedicate yourself to the quest for vision that will guide us and our families at this time. As your moontime approaches, feel the openness and sensitivity increasing. Pay closer attention to where you allow yourself to be, and to the energy around you (for you imprint very deeply during this receptive time). Choose to immerse yourself in what you wish to receive, create and magnify through yourself. Turn toward beauty, peacefulness, song and vision for a radiant, harmonious life for your children and the children of seven generations. Refine the objects of your attention, until the blood comes and you retreat into the peaceful beauty and quiet of the Moon Lodge, leaving behind the everyday world for a few days. Within this lodge, keep a large and lovely book for recording your visions, dreams, imaginings and intuitive flashes. Also, make possible a simple art expression for another kind of record. These expressions will unify the information and make it available to all who come there. In the Moon Lodge you remember your vow to use this transparent veil in calling vision for your people, praying, "Not for myself alone, Great Spirit, do I ask this vision, but that all the peoples may live." The dream will begin to unveil itself through strands woven from many women's dreams. The weaving created through gathering to share on the New and Full Moons and from the records kept will create a fuller tapestry, more easily understood and made real in the ordinary affairs of life. This is the ultimate action: making the dream of peace real in our everyday lives. During the days following the first flood of clearing blood whose potential for life we give back to Mother, the flow gentles, wanes, slows and completes itself; we integrate the vision within ourselves and ready ourselves to come forth. The song, Blood of Life, on my music cassette "Gift of Song" is meant for this giveaway ritual. The veil thickens as we turn away from it, and we step into the present. We make ourselves solid, flex our lean bellies, and come forth. Grandmother's cycle and Mother's mind within us assist us with the task of coming again fully present into the world. At the Full Moon we are at our most powerfully attentive, aware and present for action in the world. From the womb of Buffalo Woman, we carry new creations to join with the light, and birth takes place. The dream is made real in the beauty of Mother's Earth. This passage is an excerpt from LUNA YOGA, by Adelheid Ohlig. Told that she had cervical cancer, she sought noninvasive treatments. With the aid of simple yoga and breathing exercises, self-love, tribal fertility dance movements and a sound application of the principles developed by Aviva Steiner for female reproductive health, she cured herself. Her success and the stories told to her by other women, encouraged her to give up her career as a political editor and devote herself full-time to teaching LUNA YOGA for vital fertility and sexuality. Moonwater strengthens female power, whether used by men or women. The art of preparing Moonwater is ancient; its origins are lost to the darkness of matriarchal history. But the recipe is simple, and as easily done today as by any women who lived thousands of years ago. Begin by making a careful choice of your container, which could be the same for all the different signs and phases of the moon, or which could vary as the moon does - sometimes large and sometimes small, sometimes bright and sometimes dark. You might even have twelve different ones corresponding to the astrological signs. Your container needs to be able to hold as much water as you would use up in a month, drinking one sip a day. And, you need to be able to close it tightly, so your moonwater won't evaporate. On the eve of the full moon, fill the container with fresh water. If you like, add a piece of jewelry or a stone that corresponds to the moon's sign. (I don't have any rules for this, but freely associate what the different signs symbolize.) During the full moon, the moon's sign is opposite the Sun's sign. Expose your filled container to the full moon for the entire night. Place it outside and in the open where the full moon can shine into it for as many hours as possible. Next morning, take your first sip of moon water. This water that has gathered the moon's energy will be the first thing we consume every day from now until the next full moon. Each morning, on an empty stomach, one more sip is consumed, and we strengthen ourselves with the properties of full moon: creativity, abandon, imagination, wildness, strength, brightness. I wish you much joy with the water of the moon! Edited by Cassie Premo Steele. The Grandmother's hand on my arm halts my imaginings. We stand at the edge of a secluded clearing, rimmed with tall pines. In the center is a large log house, and around it women --many women-- move through the light of Sister Sun and her shadows. Some walk in the clearing. Others cluster on the porch, talking quietly, or sit at the edge of the forest in meditation. Not far from us, a woman who is combing another's hair leans to whisper, and their laughter rises into the soughing pines. "This is the menstrual lodge," says the Grandmother. "When our power sign is with us we come here. It is a sacred time -- a time for rest and meditation. No one is allowed to disturb our harmony. No warrior may even cross our path. In the menstrual lodge many things are known, many plans are made..."
a great collection of women's writings on menstruation, edited by Cassie Preemo Steele, twenty-six writers explore the "silent" parts of women's lives; reawakening menstruation memories of embarrassment and shame and transforming them to wonder, excitement, and laughter. 176 pages, illustrations.